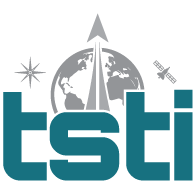 Applied Model-Based Systems Engineering | TSTI | Teaching Science and Technology, Inc. This 2-day course provides a broad overview of the processes, practices, tools and techniques that comprise the emerging discipline of model-based systems engineering (MBSE), with a greater focus on application for the user and practitioner. The course begins with a review of the systems engineering framework and protocols that establish the context for MBSE practice. We then examine the evolution of MBSE from paper to software and briefly review the concept and usages of modeling languages (UML, SysML, LML, etc.) and tools. The course focuses on the key value propositions MBSE offers—Capturing, Connecting, Controlling, Communicating, Collaborating and Cycling—with specific examples, lessons learned from applications in NASA and commercial projects. 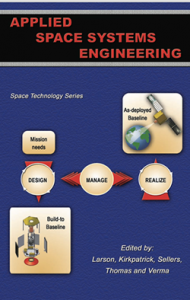 Application of MBSE to develop and deliver artifacts in support of all 17 processes that comprise the NASA Systems Engineering “Engine” across the program/project lifecycle are examined in detail. The course includes a series of hands-on exercises to explore MBSE tool use and application in a practical project context. NOTE: This course is day-1 and day-2 of MBSE-03. The course is aimed at those totally new to MBSE who want a broad overview of the topic as well as a practical understanding of its application in the program/project context. While the course uses a specific tool for teaching, the goal of the course is to be “tool agnostic” such that the basic principles can be applied to any tools that a person or project may use. Detailed course objectives are shown in the following table. Summarize Examples Summarize specific examples, usage extent and lessons learned from MBSE application to NASA and other programs. Infer Project Behavior and Issues Given an MBSE model and/or artifacts from model, infer details about the system’s behavior, as well as potential issues (i.e. gaps, overlaps, missing traceability, etc.). Point Out Omissions Point out omissions and other issues with a project by examining a fully-populated system model and/or model-generated artifacts.